Sarn is currently open to LMSC members only (temporary guest membership can be obtained by contacting any committee member). PLEASE SEE COMMENTS BELOW ABOUT NOTIFYING FARMER ON ARRIVAL. Turn south off the A489 at Sarn village next to the bus shelter/post box. 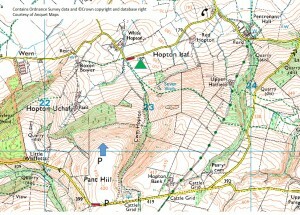 Take the left fork at another phone box and follow the lane to the top of the hill and a small lay-by on the left. Park here and walk to T/O through the gate, or go through the gate and park up just inside the gate along the perimeter fence and then walk to the launch site. You are NOT allowed to drive further into the field! This site is becoming more popular now the trees have been harvested to the frontage. However all members should please note that this is considered to be a “sensitive site”; the owners are new to us and paragliding and we are almost certainly on trial. The first person flying there on any given day must text the farmer, Ric, on 07799691444 to confirm that you are flying. The forest immediately below take-off has been cut down, so the usable area of the hill is much greater now. There can be turbulence caused by the spur to the left of T/O when the wind is west of north. Top landing very big and flat. You can safely land back at the access gate. Bottom landing is cross wind and cross slope. Check it out before flying. Avoid flying near to the green pheasant pens directly west of the bottom landing field. Site will occasionally be closed to rest livestock some weekends – check site status before you arrive !. 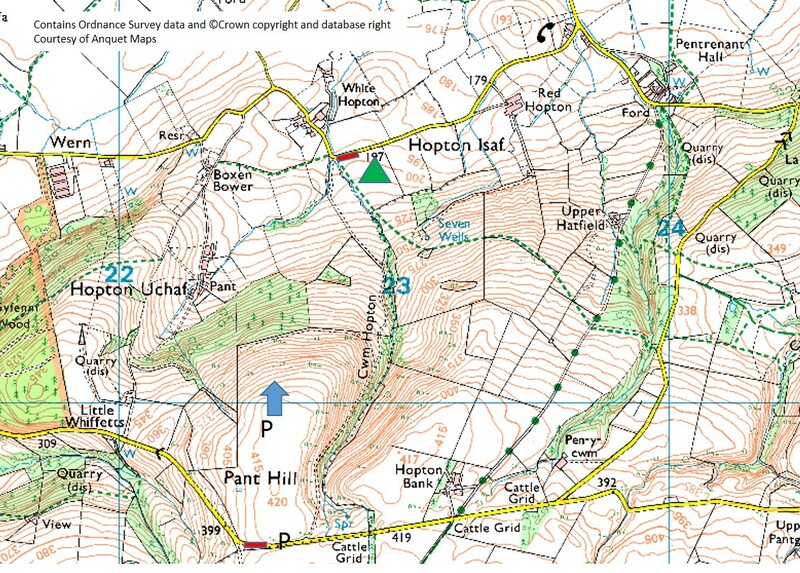 Hugh Miller, 08/08/2007, 122.6km to Cirencester. PG. Bob Calvert , 1984, 167 km. HG. See weather page for weather station actuals and history as well as long distance current camera shots of the conditions at launch, you can just about see wings ground handling or flying.